The 3920B features a low phase noise RF signal generator for performing critical receiver testing required on critical communication radios. 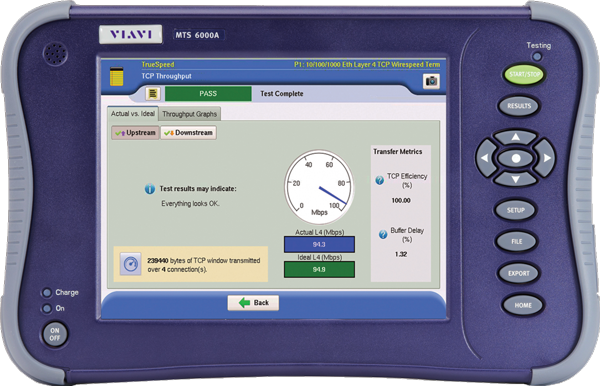 The 3920B includes many standard features as well as a host of optional test capabilities, digital personalities, and the Auto-Test II Alignment capability. The instrument provides a comprehensive range of general-purpose analog measurement facilities as well as advanced digital test options. To make you more productive, the 3920B is not only simple to use but has features that make testing a radio quick and repeatable. 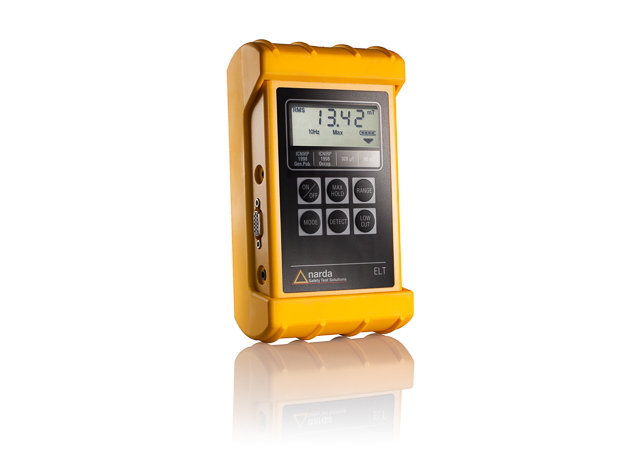 The 3920B features easy-to-read meters with Pass/Fail color coding for instant Go/NoGo testing. With these easy-to-configure meters, you can set up unique Pass/Fail parameters for each radio type that you are testing. Includes a host of automatic test and alignment for the most popular radios in the industry. The 8800SX supports all modern land mobile radio technologies. 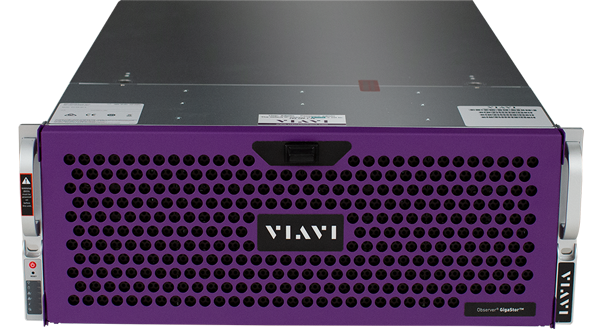 The hybrid portable design is ideal for both bench and field test environments. The industry’s largest color touch-screen display simplifies operation and provides flexibility on the user interface. With an internal swappable battery that has up to 3 hours of battery life, the 8800SX is ideal for field applications. Power accuracy in the 8800SX rivals test equipment costing much more. 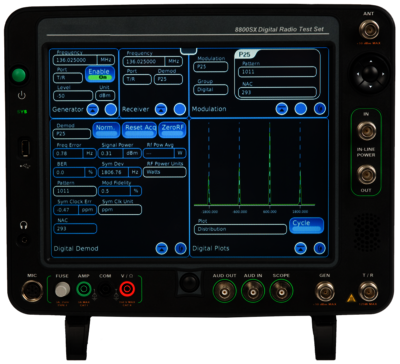 Advanced automated test and alignment with support for the most radios in the market makes the 8800SX the most cost-effective radio test set on the market today. Fast VSWR and return loss plots provides field analysis of antennas, duplexers, and combiners. Accurate distance to fault measurements is useful for locating problems in cables used in vehicles and at remote sites. Multi-Language support includes Simplified and Traditional Chinese, Spanish, Portuguese, Korean, Japanese, German, French, etc. 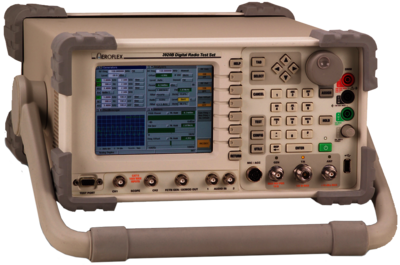 Complete Analog Test System: The 8800SX includes the capability to perform direct connect type testing on a radio. All radio parameters including power, frequency error, modulation accuracy, receiver sensitivity, and audio performance are easily accessed and tested. Indoor Signal Coverage Testing using TRX Systems NEON® Signal Mapper Application. Super light magnesium alloy – 8.3 lbs/3.75 kg weight, is ideal for field test environments. Internal battery provides 4.5 hours of true portability on one charge. Define your own test screens and then save for future use, simplifies operation. Fast VSWR and return loss plots for field analysis of antennas, duplexers, and combiners. Accurate distance to fault measurements for locating issues in cables. Complete RF Transmitter Testing: With integrated RF power, RSSI, frequency error and modulation meters . 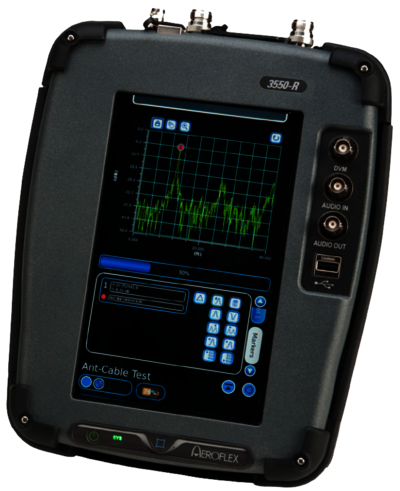 Complete Analog Test System: The 3550R includes the capability to perform direct connect type testing on a radio. All radio parameters including power, frequency error, modulation accuracy, receiver sensitivity, and audio performance are easily accessed and tested. Remote Operation and Remote File Access: The 3550R has the perfect solution for you to remotely monitor tough to find system anomalies through your smartphone, tablet, or PC anywhere on the planet. 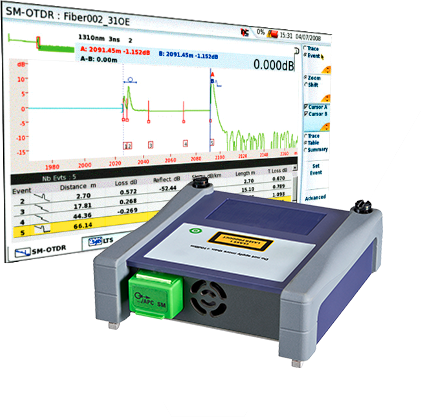 Channel Analyzer: RF signals can be graphically analyzed with the Channel Analyzer option of the 3550R. The channel analyzer allows the user to analyze up to 5 MHz spectrum of signals from a repeater, a mobile radio, or a hand-held, while at the time demodulating the signal and taking modulation measurements. AAR Channel Plan Option: AAR stands for Association of American Railroads and is an association of US and Canadian railroads. This option controls the RF frequency of both the generator and receiver of the 3550R based on the channel number.